A Good Friday deserves a good giveaway, right? 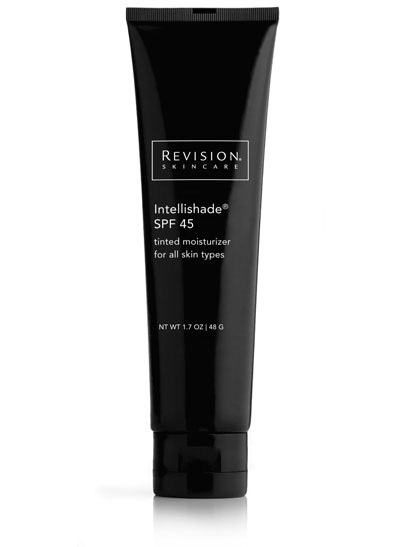 Today’s giveaway stars Revision Skincare Intellishade tinted moisturizer with SPF. I’ve blogged about it, written about, told anyone who would listen about it, and now I get to give it away. It is, hands down, my favorite BB (beauty balm). It comes in only two versions, which, I know, is crazy, but I find that it not only wears well alone, but pairs perfectly with all other products. I mix it with pure sunscreen to thin it out, I combine it with foundation to lighten the color when I’m pale, and I mix it with bronzer to make it darker with I’ve got an airbrush tan. The formula is smooth and has a barely there finish. I have two to give away: the Original, with a subtle shimmer, and a matte version. Update: The product comes in two versions, not colors. (It’s one-color-fits-all.) The Original isn’t really shimmery so much as it leaves a dewy glow. No glitter here, folks.